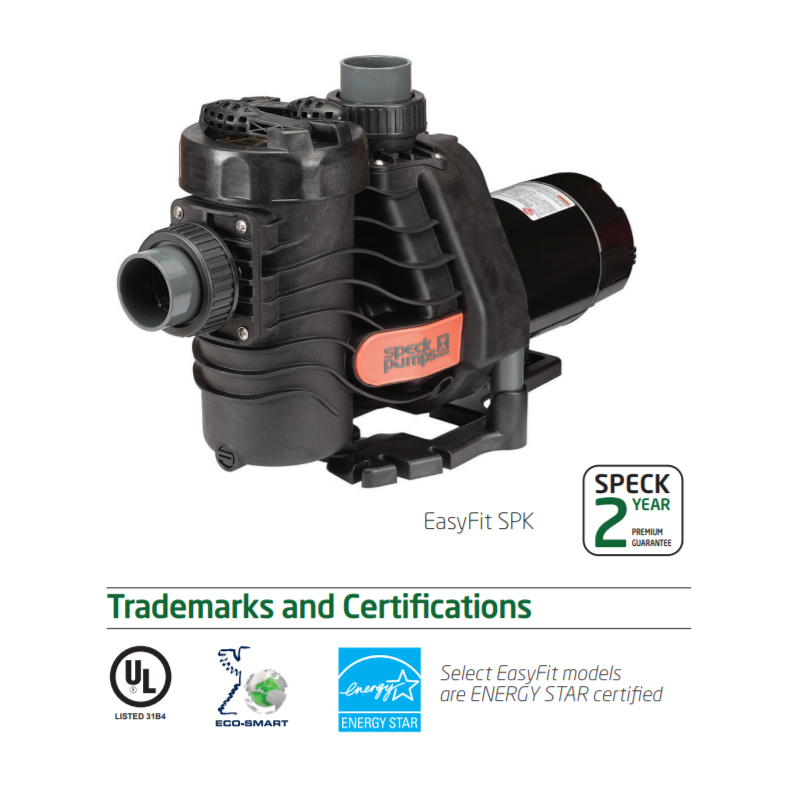 The Speck EasyFit pump is a versatile, high performance pool pump. 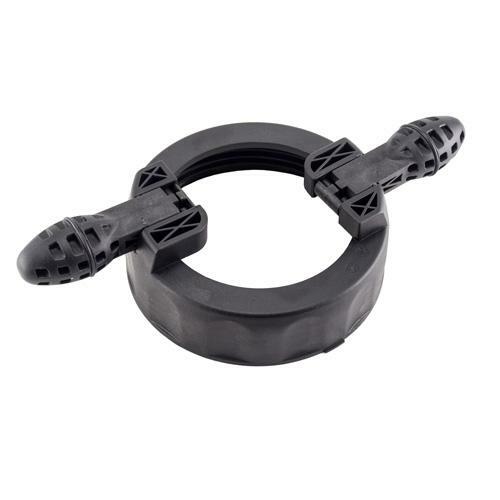 With universal fittings, saltwater compatibility, dry run protection, and unmatched durability, the EasyFit saves time and money for you and your customers. Both pool users and service experts benefit from the ease-of-use of Speck EasyFit® pumps. Pump parts are made of 100% recyclable plastic. Non-corrosive and chemical/UV resistant, EasyFit pumps can withstand temperatures of up to 175F. In case something does go wrong, all Speck EasyFit pumps are equipped with a 2 year warranty on all pump parts, including normal wear of the mechanical seal.